Whether you’ve just purchased your first pool or are looking to improve the quality of your current pool, proper pool maintenance is a must for keeping the area clean, safe, and enjoyable all season long. Wondering how to best care for your inground pool? The pool installation and construction specialists at True Blue Pools in Lexington, KY, spotlights the three supplies you’ll need to invest in. Skimmer: Basic yet essential, a pool skimmer offers a surface clean of the water. Used to collect and remove debris, a skimmer is your first line of defense when it comes to preventing clogged drains and unsafe waters. Pool Vacuum: While a skimmer will collect debris that’s floating at the surface level of the water, much of a pool’s debris settles to the bottom and cannot be reached with a skimmer. A pool vacuum works by sucking the debris from the bottom of your pool and keeps the water clear and clean all summer long. Water Testing Kit: Staying on top of the chemical makeup of your pool is one of the most critical tasks of a pool owner. While an advanced degree in chemistry isn’t required, a basic testing kit is a must for ensuring the water is safe and clean all season long. These testing kits are designed for homeowners and offer ready to use, easy to understand directions and keys to reading the results. 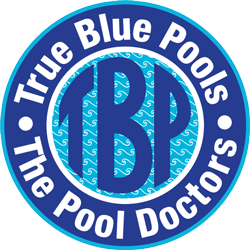 Homeowners looking to install a pool or those with pools that aren’t staying properly cleaned can call (859) 523-0755 for help from the experts at True Blue Pools. You can also visit our website to learn about the company’s pool installation, maintenance, and repair services. For more information, find us on Facebook.